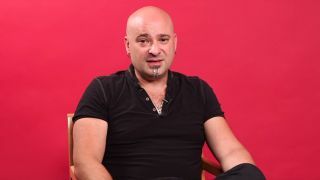 Disturbed frontman David Draiman has ruled out the chance of making another Device album. He says it working with the side-project was a rewarding experience – but that it’s time to focus fully on his reunited main band. Disturbed launched comeback album Immortalized in August, following a four-year hiatus. He adds: “All of us had really amazing experiences working with our respective projects – myself with Device, Dan Donegan and Mike Wengren with Fight Or Flight, and John Moyer with Adrenaline Mob, Geoff Tate and everybody else. The vocalist continues: “You have all this new ammunition from a knowledge standpoint, and you get to unleash it with the guys who harness it more effectively for you than anyone else. The band recently announced a US tour.